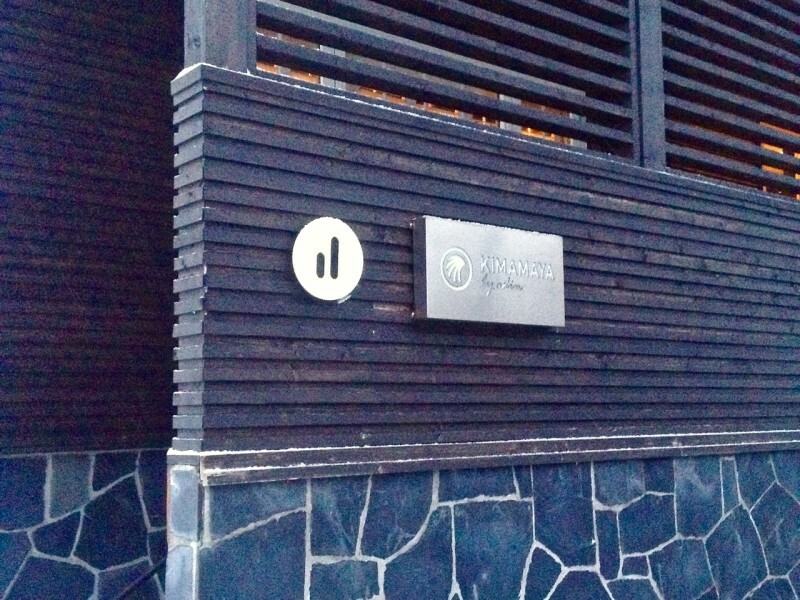 First built in 1985, Boutique Hotel Kimaaya was redesigned in 2009 as the first project of several projects by luxury property developer Odin. 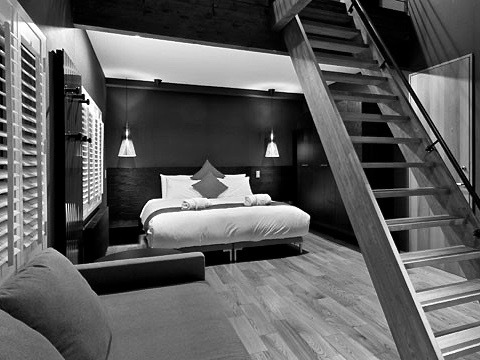 It is an enchanting micro-boutique hotel set in the central district of Niseko’s Hirafu village. 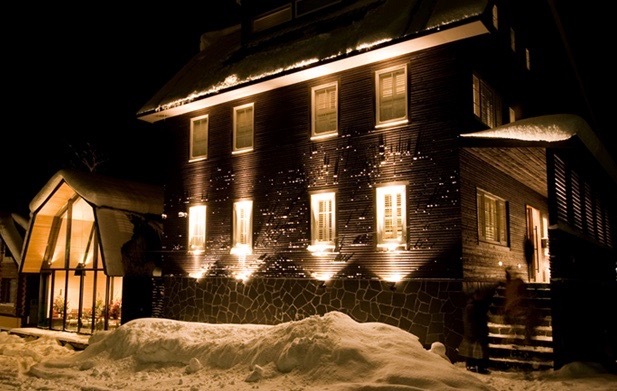 In December as the powder snow starts to Kimamaya Boutique Hotel radiates a warm glow that spills onto the adjacent streets. Kimamaya means to “be yourself” in Japanese and best describes the hotel’s wishes for guests arriving from all over the world. Small relative to many hotels, this nine-room luxury lodge appeals to the traveller wanting attentive hospitality in a well-designed atmosphere located centrally. Upon entering the hotel a spacious living lounge signals the senses to relax and unwind as the warm glow of the modern fireplace radiates throughout the open room. The charm of the original lodge was retained even after a full renovation to the main building in 2008. Originally envisioned by Yasuo and Keiko Watanabe over 25 years ago, Odin has updated all aspects of the interior to appeal to the international traveller accustomed to detail, design and modern functionality. Particular focus has been placed on creating an atmosphere that builds on the winter scenery just outside the front door. Intelligent choices for the interior design elements project refined, resort luxury yet maintain the home-like comfort of the original lodge..
Post-renovation, the hotel beams with abundant use of natural materials that not only add to the sensory experience but also feels just right for a raw location like Niseko. 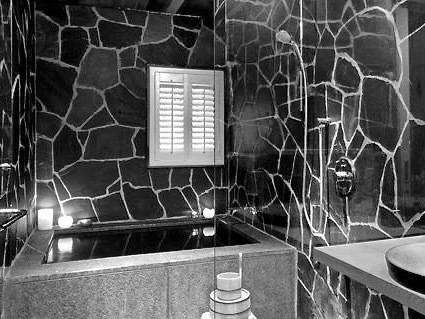 Black granite tiles were used extensively in bathrooms and spa areas. Original wood posts and beams extend throughout the main building and give it it a rich, timeless character that many travelers look for in a ski resort lodge. Kimamaya Hotel feels unique, warm and intimate and still delivers all of the modern functionality sophisticated travelers expect. The style is reminiscent of Scandinavian design with its emphasis on thoughtful spacing between design elements. Gorgeous slatted lampshades hanging from the ceiling and divide warm light throughout the room. When architect Koichi Ishiguro re-deisigned the building he chose to keep the original wooden framework as a nod to the history of the building. A focus on using sustainable, renewable and recyclable materials lands this hotel on the right side of current architectural trends with its thoughtful inclusion of location and environment in the design and functionality. Andrew Bell of Earth Home Ltd. drew unique plans for the nine rooms at Kimamaya with the goal of projecting warmth and simple beauty. Room interiors each have their own unique mezzanine flooring that form part of a palette of colors that include chocolate wood, matte grey walls, rich elm wood floors and smooth black granite. Bedding consists of pillowy down covers and fine cotton sheets, furnishings that come directly from Odin’s own collection.Each room feels as though it has been designed with careful attention to details that all contribute to guest’s comfort. The lofts feature accommodate four adults including one additional child where applicable. 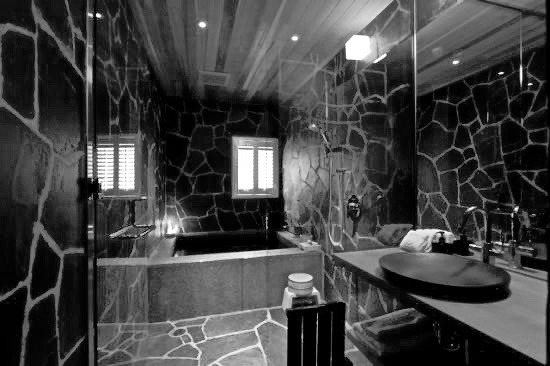 Additionally, every room is equipped with ensuite bathrooms featuring popular rain shower heads. 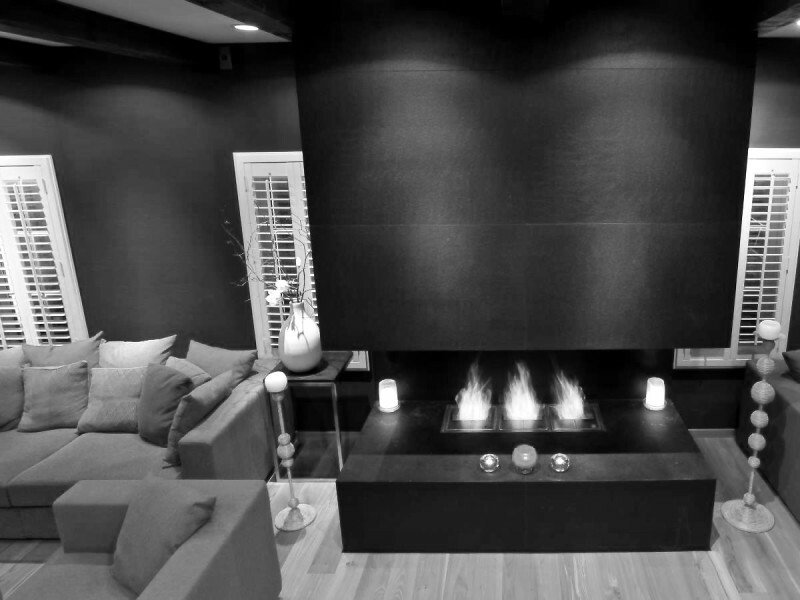 The overall effect of all of this is a simple yet relaxing space whose minimalism feels luxurious. One would not feel they were in Japan without a communal onsen (naturally fed hot spring bath) and the Boutique Hotel Kimamaya delivers two options for guests to relax with with privacy an option for those less inclined to bathe publicly. After a long day on the slopes or deep in the backcountry mountains, a moment of indulgence is what the body demands. Relaxation starts with a full soaking in a choice of wooden (moku) or stone (ishi) spa tubs. Next comes your personal choice from Kimamaya’s Spa services. Options run deep for such a small operation like Kimamaya and include Japanese back massage, shiatsu, aromatherapy or full body massage. After massage guests can relax by the fireplace, cosy up to the hotel bar or head straight to the private sanctuary of their designer bedroom. Kimamaya appeals to the active traveller who plays hard and wants a total relaxation experience to recover for the next day skiing powdery slopes or hiking in the extremes of the wild backcountry. Private reservations of the spa bath are complimentary for hotel guests with advance booking required. 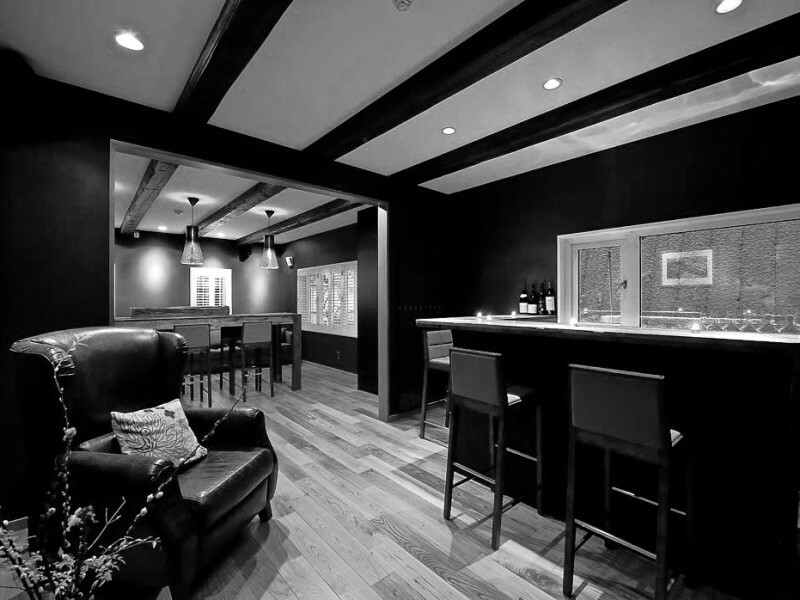 The hotel bar is small yet the intimacy feels just right for a luxury boutique hotel. As one would expect, wines and spirits are well chosen and include choices from the owners personal vineyard in Burgundy, France. The bar is a perfect place to unwind and enjoy the beautiful interior warmed on a cold winter night by designer lighting and open-face fireplace. The Barn Bistro by ODIN CLICK TO READ MORE …. One of the most convenient attributes of Boutique Hotel Kimamaya’s is its central location with an ever-growing pool of restaurants, cafes and bars from which to choose. 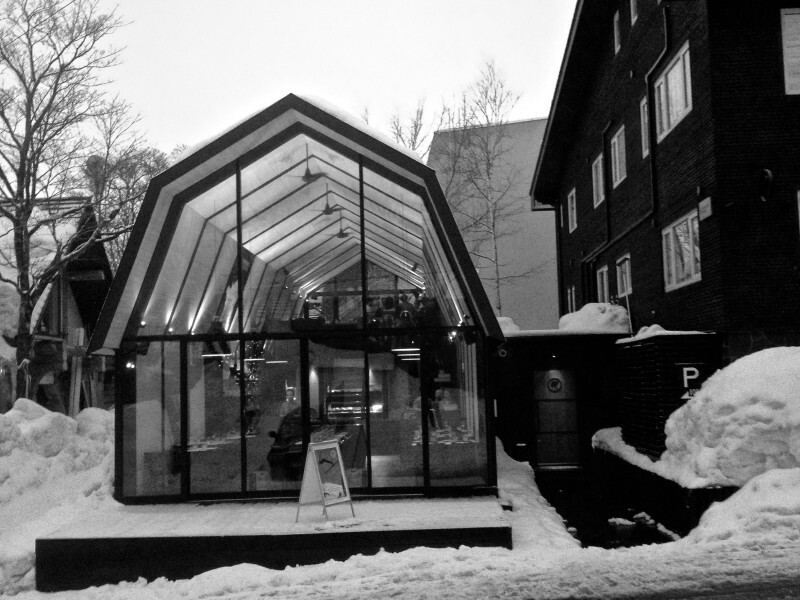 One only needs go next door though to experience Odin’s take on French Bistro called “the Barn by Odin”. 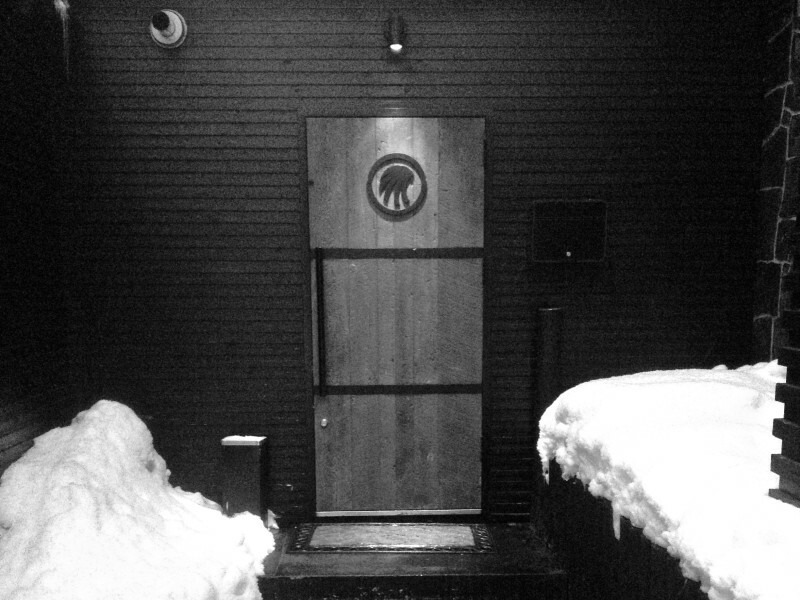 The Barn is both a restaurant and a bar with a building directly inspired by traditional Hokkaido farm architecture. 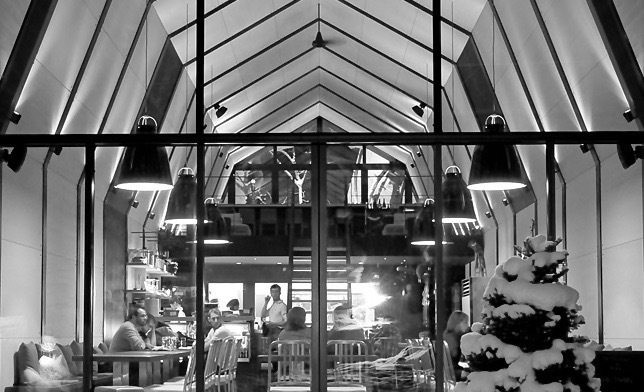 Featuring a menu selection driven by Hokkaido’s fresh produce and served with French hospitality The Barn offers a alpine food and wine fare in a warm bistro atmosphere. Odin is a design-led luxury property development group operating since 2008 in Japan. 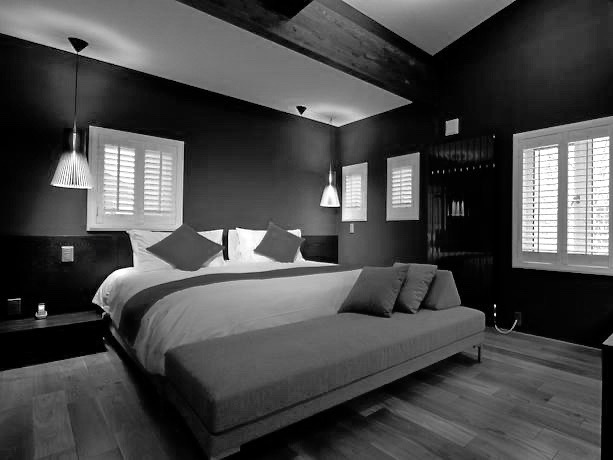 Kimamaya Boutique Hotel by Odin is the brainchold of Frenchman Nicolas Gontard’s vision and passion. After selling international telecommunications business based in Asia in 2006 he partnered with Norwegians Bjorn and Chris Fjelddahl. Together they set about building a luxury brand of residential properties and hospitality products the first of which was Kimamaya Boutique Hotel together with neighbouring restaurant The Barn by Odin. They chose Niseko to extend their involvement in the community first encountered because of a passion for skiing and mountain biking in the pristine natural environment of Hokkaido.